With the possible exception of a lighthouse, you can't beat observatories when it comes to inspiring, magical and amazing places to stay. There is something about being in a remote location, overwhelmed by nature, and yet in the presence of some of the most amazing equipment and machines ever created. Whether a breathtaking mountain peak, or a little home-built telescope shed in the garden... observatories are special places. 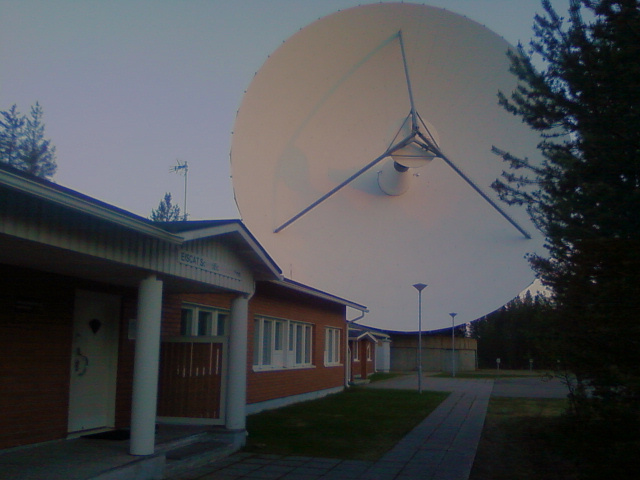 The geophysical observatory at Sodankylä is no exception to this. Scattered about are a bewildering array of instruments, antennas, domes and huts. Each carrying a story, and each revealing a secret. And, for some, there is the chance to stay on the site itself. As we've mentioned once before, there is a 32-m EISCAT receiver dish at SGO. And one of the guest rooms for visiting scientists is located in the control building... at the opposite end from the control room. Why settle for five stars, when you can have them all!